Ravenna Women FC scored their eleventh win of the season at the "Melli", imposing themselves on Lazio for three goals to one. 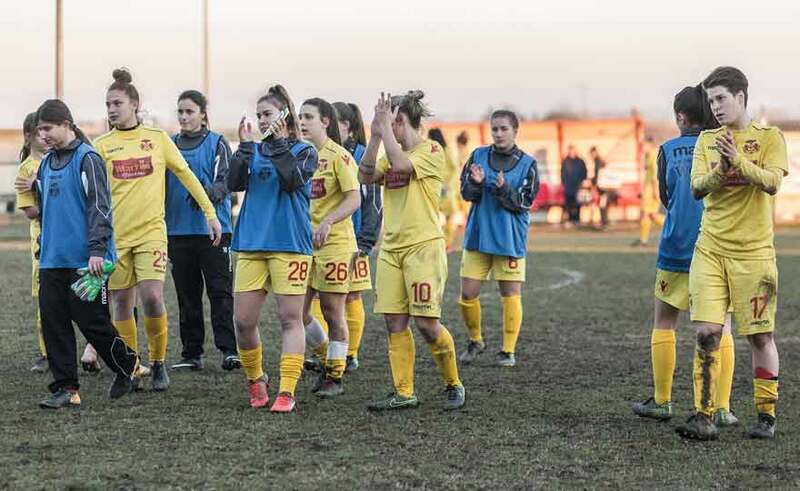 The girls of Piras thus climb to 37 points in the standings and continue the race on Empoli, which, having beaten the Arezzo, manages to defend the second place keeping at three lengths. First half not very exciting in Rome, with the teams initially very contracted, even if the lionesses have suffered at the 9 'minute the opportunity to take the lead with Montecucco who misses a goal after an incomprehension between the biancoceleste goalkeeper and one of his companions. At 11 'Barbaresi welcomes a Bouby garage and tries to surprise Natalucci who is careful this time and blocks the ball without difficulty. The Ravenna initially manages the maneuver in midfield, then the landlords start to push forward, but with poor results because Copetti is punctual in his interventions and in his exits. In the half hour Di Giammarino flees towards the Giallorossi goal and is enclosed in a corner by Giovagnoli: from the flag goes Savini who makes a mistake, calibrating the cross badly. At 38 'the opportunity arrives that unlocks the race turning it in favor of the Romagna: punishment beaten by Barbaresi, assisted by Montecucco and impeccable realization by captain Cimatti, who marks the eleventh goal in the league. At the 44 'a big hit of Filippi from the outside is not lowered enough to take the Ravenna riders on the 2 to 0 before returning to the locker room. At the second half Lazio enters the pitch with a firm air and seems to want to try to even out the score right away, but, while Tesse's team is inaccurate, Ravenna is more cynical and lucid in front of goal and after a post stamped by Cimatti at 60 ' Carrozzi takes care of it a minute later to put his signature on the momentary 2 at 0: once again Barbaresi's punishment, rejected by the Lazio rearguard and the Giallorossi 21 bags from twenty meters. A few moments pass and at the 68 'Ravenna spreads with Barbaresi who scores the goal that ends the match directly from the flag. In the last minute errors on both fronts, with both teams wasting different occasions. In full recovery the home team find the goal of the flag with Palombi that shortens the distance, to no avail. The Ravenna Women FC then brings home three heavy points, being able to approach the week of break with greater serenity. Next Sunday the championship stops on the occasion of the commitments of the women's national team. The 14 is resumed on April, a day in which the lionesses will be engaged in another trip to the capital, this time to face the Rome XIV.